HOW DO YOU TRANSFORM A CULTURE? This is a typical response from most consulting companies and executives. The instant promise of being able to deliver amazing results without even understanding the business model, or most importantly, its current state. You tell senior executives that it's as simple as putting some visuals in place, running some events, and tightening up on the management team - you can have the company trimmed out in no time. The true fact of the matter is, those results can’t be delivered because the time frame is too short for the complexity of the real issue. The culture isn’t ready for the change. It’s easy for someone to say it’s all about the culture to know how to transform one is the hard part. You can look at a company’s Lean journey like a fraction. Twenty percent of the effort will be teaching and applying a Lean Six Sigma tool set and theory, the other eighty percent will be the transformation of the culture. Cultural transformation is changing habits, the way of working, and the belief system. To change a belief system, you need to create a system. This will definitely be the most time-consuming and challenging part. It is difficult enough to get an already mature culture to transform - let alone a damaged one. What could create a damaged culture? Some examples are low pay, poor working conditions, no opportunity for advancement or development, no succession planning, poor recognition, etc. Therefore, it is imperative that you know the culture's climate. A good way to evaluate the workforce’s willingness to change, favorability, engagement is through a survey. The survey should have specific categories built around, development, job satisfaction, compensation, perception of management, etc. This is what you could call pre-work. novel solutions; sometimes front-line employees come up with great projects and fixes to systemic issues, or alternatively, they realize everything isn’t that easy to fix (walking in someone else’s shoes). Either way, it is a positive experience to increase employee engagement, favorability, and communication or just flat out mentor individuals. These surveys should normally be done every year or eighteen months. To show improvement, create a measurement for employee favorability or engagement. Handle this like any other METRIC for revenue, inventory turn, operating income, etc. Monitor the score and strive to have a workforce where at least 76% of employees would recommend working there (this is considered world class). Allow employees to share the success of their focus group projects with all. How do leaders design a system to build the culture & meet business objectives? The first step - which is the simplest, yet usually missed - is communication (with regard to consistency, frequency, and depth). Have you ever worked for a company where management has three or four hour-long meetings a day, but only meets with front-line employees on a quarterly basis (if that)? This type of atmosphere will create a bullwhip effect of rumors, resentment, and misalignment of strategies and objectives. Project targets and milestones will be missed, as well as daily customer requirements. Employees create their own systems to deal with issues and it becomes almost impossible to identify the source or process that failed. 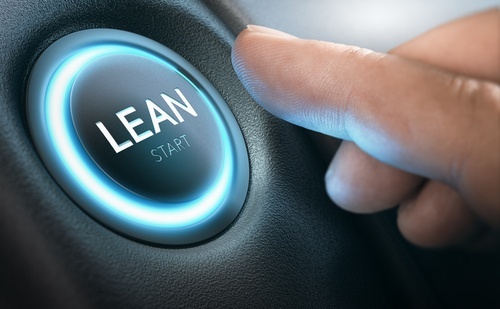 So what’s the answer from a Lean perspective? Leadership Standard Work. This is sometimes confused as scheduled staff meetings, toolbox meetings, or general management communication. Operators have standard work for their value-added activities - and so should leadership, at all levels. The core of Leadership Standard Work is going to the Gemba (which refers to observations made where the process occurs). Some of the other components of Leadership Standard Work are usually overlooked and improperly managed. They are reflection meetings, Andon response, accountability process, and mentoring. I will briefly cover them all below. Visuals need to be in place to identify normal vs abnormal (ex: on-schedule, off-schedule). A Gemba walk is not just a social visit where we discuss our weekend or football games (not saying you don't have to be personable and pleasant just goal and data-oriented). Design your Gemba for all levels Executive, Managers, Supervisor, etc. All with different frequency, scope, and questions. Process owners from each functional area should attend, operations, finance, sales, HR, etc. Create a theme (for the problem statement) for every meeting to keep everyone engaged. Gemba walk is to see, Reflection is to solve. Once again create a standard for all levels. Andon doesn’t have to be a light or flag, it can be as simple as an email. There just has to be an established system to elevate or escalate a problem when a process stops or breaks down. This is valuable in the business process as well as operations. One thing that I have learned while working with new clients is to be mindful that everyone is an expert in their own right. Most employees have held certain jobs because of their ability to execute at least to an extent. Even if a business is in a poor state, that doesn’t necessarily speak to the talent within the organization. Usually, it’s an indication of its leadership. Obviously, it may just also be an uncontrollable such as market conditions, economic downturns, Mother Nature, etc. It is our responsibility as change agents to constantly transform the culture. So we know how important the culture is - because leadership is trained to say it on a daily basis (whether they believe it or not), as do consultants, “focus on the culture.” I promise, if you approach building the culture in a structured, nurturing manner using Leadership Standard Work - and believe in it - you will share great success!